The Quinlan Family. Arglare. Mitchelstown. Co Cork. 1921. Back Row – Mai Quinlan (Granny O’Neill) – Grand Uncle Pa – Grand Uncle Con. 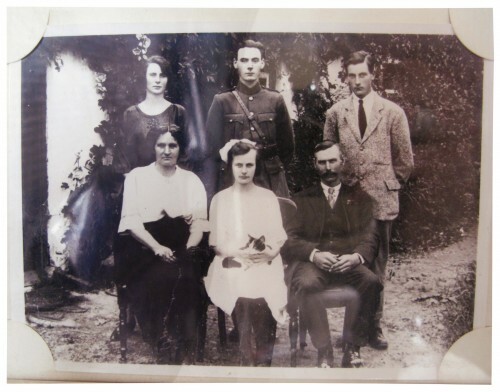 Seated – Great Grandma Quinlan – Grand Aunt Tess – Great Grandad Quinlan. I had many happy Summers as a child in Ireland. Happy St. Patrick’s weekend!